Fuel is the lifeblood of your engine. Therefore, it is vital that it is totally free of any contaminants before it enters the workings of your engine. It is the role of the Fuel Filter to trap any foreign matter and provide a clean flow of fuel for smooth performance and engine longevity. The longevity of your engine, and smooth performance of your vehicle relies on a clean flow of fuel. It is the role of fuel filters to capture any impurities that may have travelled into your fuel tank. The quality of a Fuel Filter can be best gauged by its ability to trap even the tiniest impurities. Toyota Genuine Fuel Filters trap the smallest of particles. The thorough filtering process ensures clean fuel and smooth engine operation. Toyota Genuine Fuel Filters are designed specifically for each Toyota model, to fit fuel lines precisely and therefore trap the tiniest of impurities. Unlike some non-genuine fuel filters, Toyota Genuine Fuel Filters are constructed of high quality materials, which are both airtight and highly heat resistant - an important feature with petrol in the hot environment of an engine bay. Toyota Genuine Fuel Filters are engineered to catch particles as small as ten microns, yet still maintain a smooth flow of fuel. 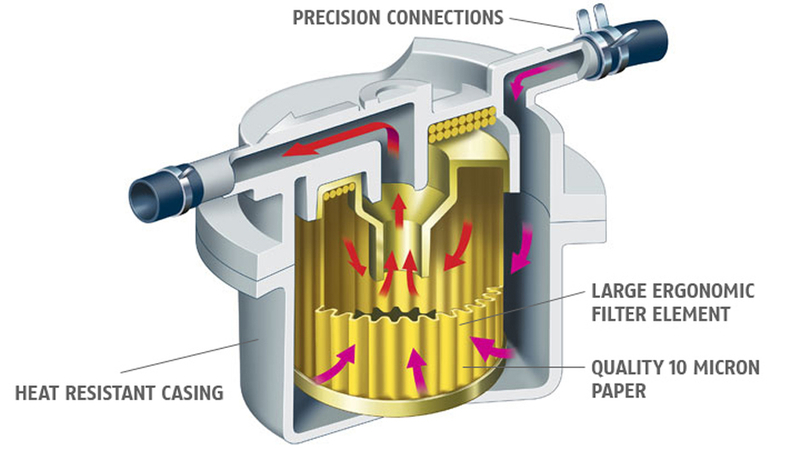 Lesser quality filters use poorly constructed filter papers, which allow larger impurities to clog and corrode the engine, causing engine malfunction. 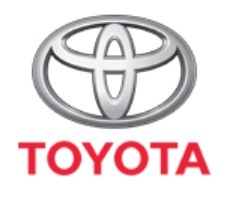 Only Toyota Genuine Fuel Filters are designed specifically for each individual model Toyota. They are constructed of high quality materials, which are both airtight and highly heat resistant. And most importantly, they are designed to fit fuel lines precisely. Other non-genuine filters may need to be 'forced' onto fuel lines, which can cause fuel leakages and increase the chances of creating a fire hazard. Check your service manual to see when your Fuel Filter should be replaced. If you have your Toyota Service Centre service your car, then the Fuel Filter will always be replaced according to the servicing schedule.